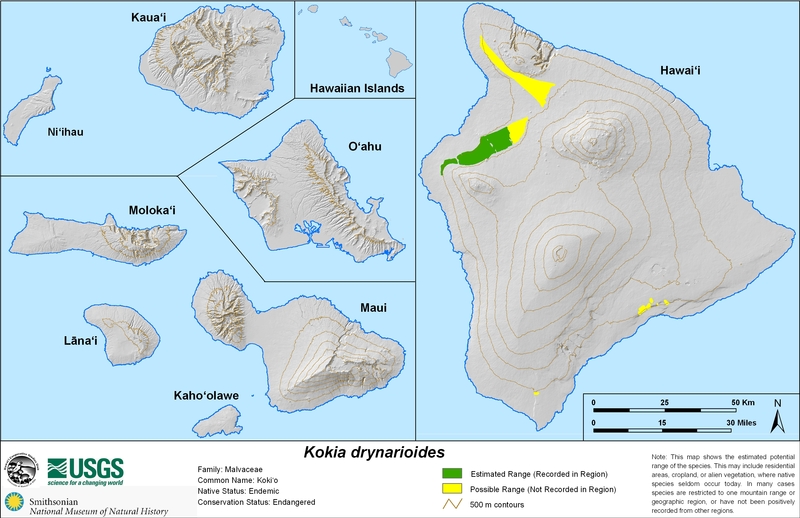 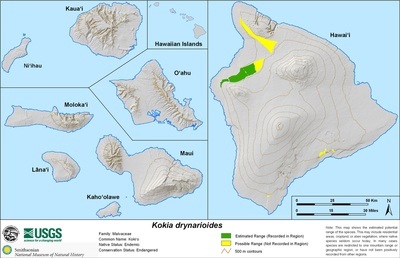 Kokiʻo is a dryland forest tree in the Hibiscus family. 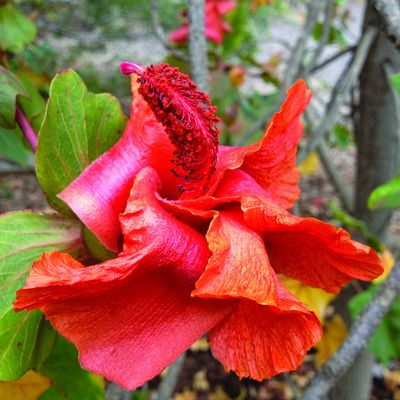 Huge, stunning red flowers show themselves and attract honeybees and native birds. 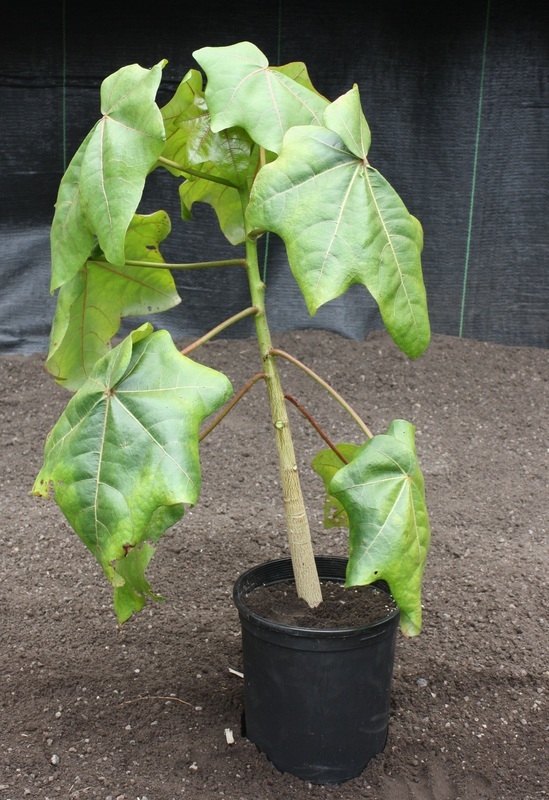 This is a medium sized tree that reaches about 15 feet. Plant in full sun and do not overwater.